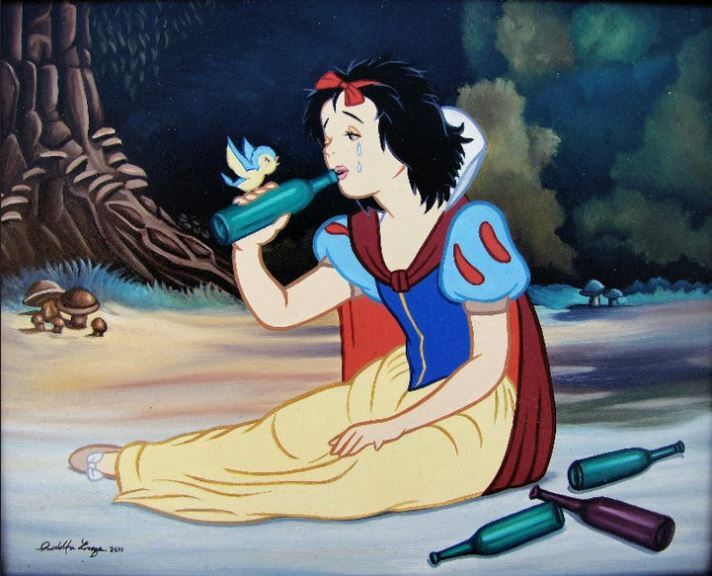 Visual Artist Jose Rodolfo Loaiza Ontiveros, from Sinaloa Mexico. His work focuses on manipulating popular images and pop icons, with influences of Pop and Lowbrow Art. His most recent work involves all our favourite Disney characters depicted living in the modern world and quite frankly it paints a very scary image.